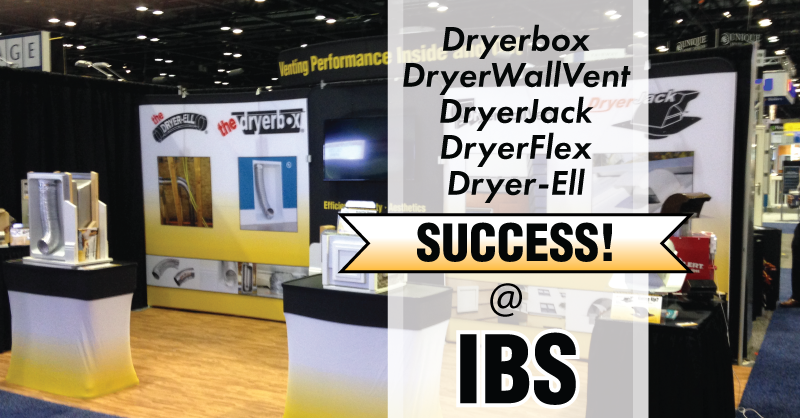 In-O-Vate had another successful showing at IBS in Orlando, Florida from January 9th-11th, 2018. The booth was manned by our own staff, who were proud to show off all of the products, from the Dryerbox to the DryerWallVent. Interactive displays allowed visitors to see the line up close and discover why they are the best quality dryer-centric safety products on the market. If you didn't get a chance to visit the booth, and would like more information about these premium products, check out Dryerbox.com, DryerWallVent.com, DryerJack.com, DryerFlex.com and Dryer-Ell.com.